Oak trees specially planted by Peter the Great for building the Russian fleet are now being used to build an exact replica of his ship, The Shtandart. 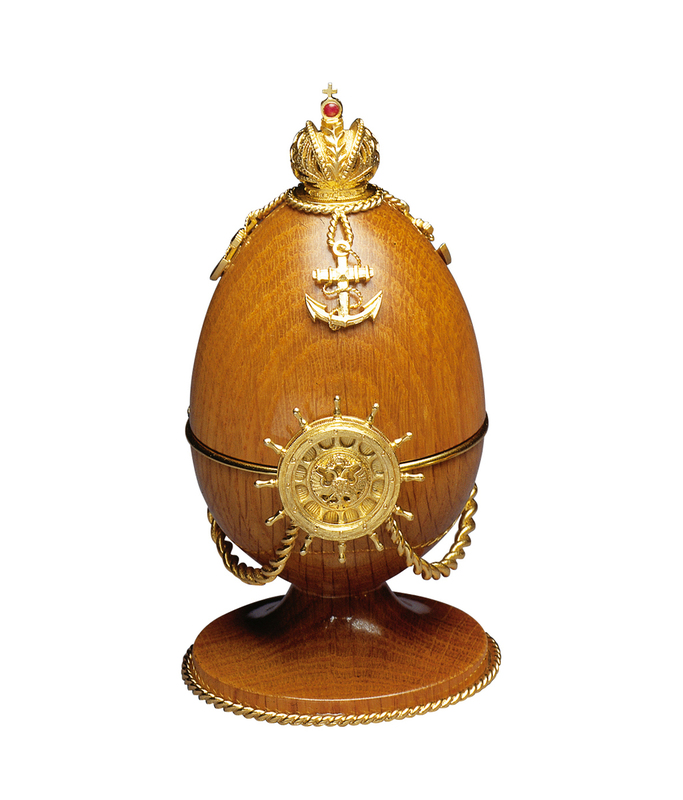 This inspired Theo Fabergé to design the Shtandart Egg, a creation that captures the magnificence of this ship, commemorating the 300th Anniversary of Peter the Great's visit to Great Britain. 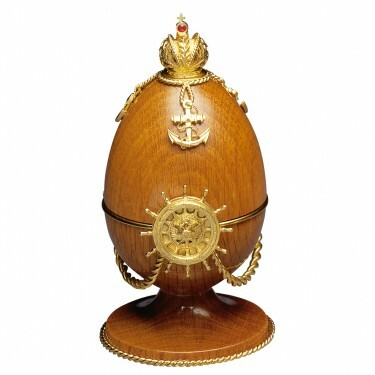 Hand turned from oak, the exterior of the Egg is decorated with fine vermeil rope and detailed with the ship's wheel and anchor. 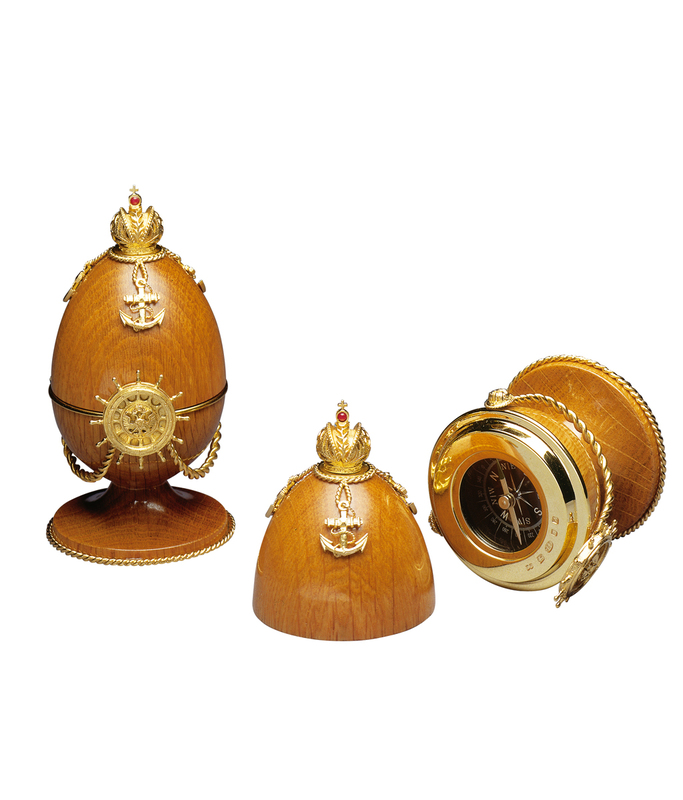 Open the Egg to reveal the surprise within, the essential navigation apparatus, a compass, to guide the Shtandart on her maiden voyage. 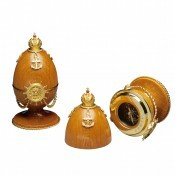 Materials: Oak, sterling silver and 24 carat gold.